Long time before I bought a electric plug with WLAN adapter, I wanted to use to turn on the light in the garden (also for the water pump and such stuff). But this WLAN switches are really bad, always want connection to internet only usable via a very shaky app always want so many access rights who knows for what, always must log in. I switched after a while to radio controlled switches at 433 MHz and bought a Raspi 433 MHz sender. Of course I wrote a own server program in FreePascal running on the raspi. It’s not very complicated in principle the WLAN switch just send a part its of the MAC address and a Token you use to switch on and off. was not very difficult, with the http server example from FreePascal I also added a little Webserver to it, that I can control it via browser or standalone apps. The NodeJS server needed > 10% of the Raspi, even there is no WLAN switch connected to it (because it stops when I start it 😉 ) FreePascal, with connected switch and a browser pulling the status <1% CPU time. Without WLAN Switch it’s not noticeable at all. And because we are on a blog for FPC for Amiga-System I wrote a little MUI App to control the Outside light from my Amiga as well. I’m really thinking to buy more of them. really nice and easy. Let’s see the next weeks how reliable it is. 😉 The advantage to the 433 MHz radio controlled switches is that the WLAN switches know their own status, and tell the server on the handshake. A while before I played around with the SMP AROS version sadly I never really got it to work. Either it was just crashing or do not use all cores and now the development of it seems to be frozen. The AROS devs published a Video how a buhddabrot fractal was calculated with multiple threads. I took that idea, because the buhddabrot fractals look beautiful and wrote an own buhddabrot program in FreePascal to test that with the SMP. 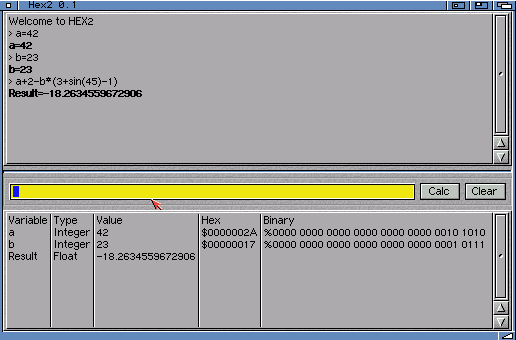 But now SMP AROS basically dead now I found the program again and played a little bit with it, make it single threaded and created a little GUI for it, to play with parameters. I noticed my navigation system in my car can also read GPX files from a USB stick. Just put the GPX File to a folder “PersonalPOI” and plug to car. 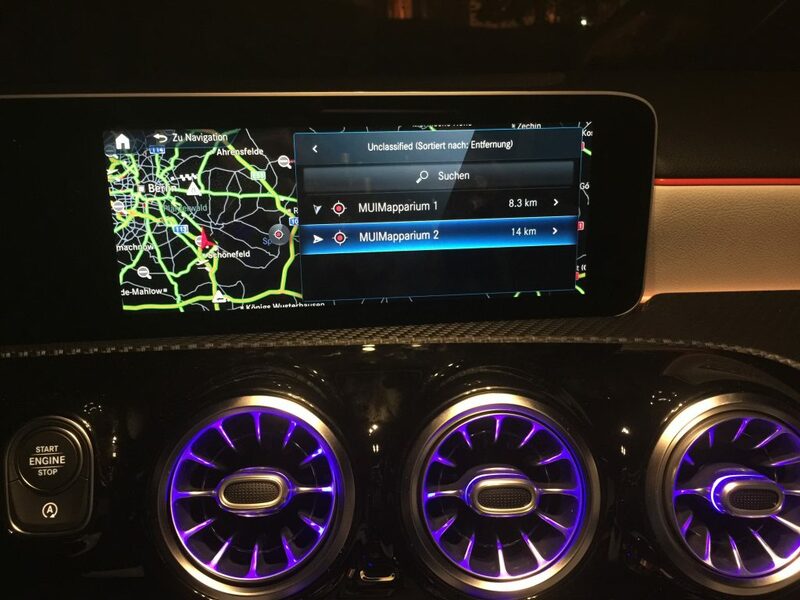 Then you can access them in the car (for example as route destinations) even can select them by voice control. 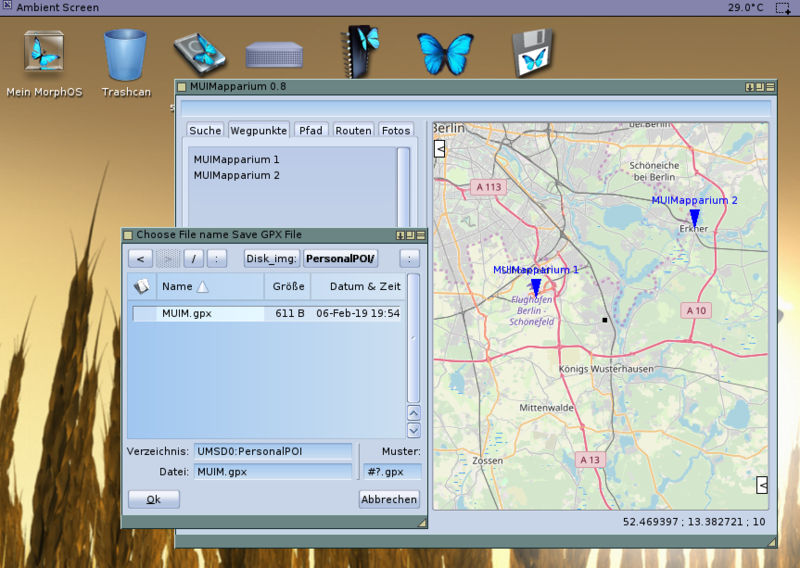 Thats what I tried just now, took MUIMapparium and created two waypoints just to try. Very nice, I’m thinking to create some POIs there which makes it much faster to select them. Maybe I should also add an option to set the type of Waypoint, the “Unclassified” means this Waypoint has no type and therefore only a default icon. Very nice to see that you can use the program for very recent stuff. 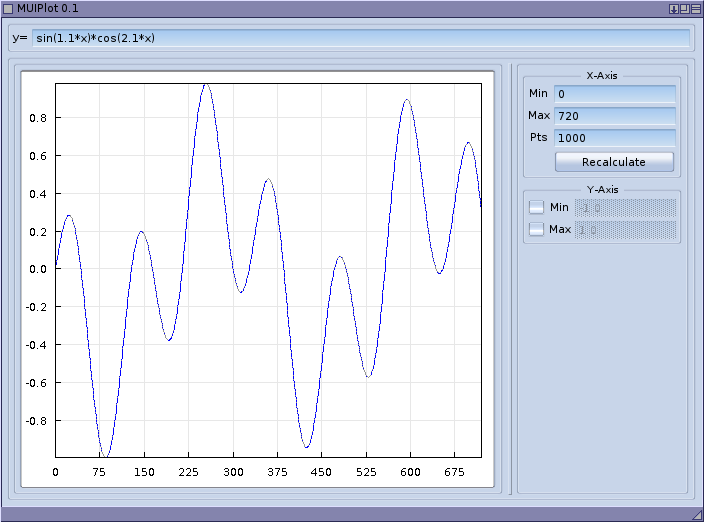 I used the function parser for a function plotter before when testing the TAChart for LCL. Now I gave my Plot component I use for MUIMapparium a little bit of reshape and fit it into MUIClass components and created a new function plotter. Running on a Amiga 1200 with 68030 50 Mhz and 68882 50 Mhz on a 32 color AGA Screen. 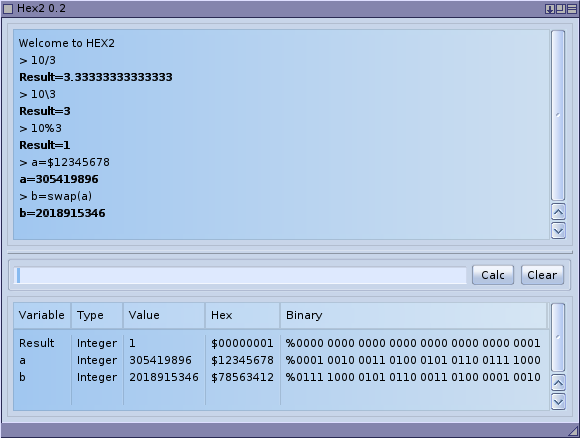 For Hex2 the floating point calculation speed is not very important, because it’s just a single function. But for calculating the full curve it needs a little bit more floating point calculations. Therefore a FPU is included. Also you should limit the number of Points to calculate to for example 100. 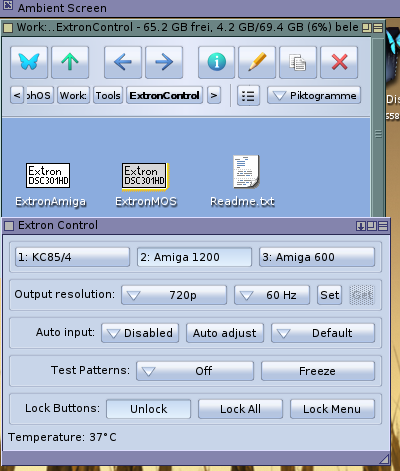 For NG Amiga systems of course you can increase it to higher numbers. Of course, when publishing a new program the people will find some problems. Good so at least some used it :-P. I made a new release. Added integer divide and modulo and repaired the swap function (swap endianess) and fixed some minor bugfixes and number overflows. I created a little MUI interface for my commonly used calculator Hex2. I use it often for bitwise comparisons to easier see shifts on bits. If you don’t know it, Hex2 is a programmer and scientific centered calculator with variables support and a little GUI even it’s keyboard centered. Of course I created it with MUIClass, therefore its available for all the common Amiga platforms. Worked on the broken Search function, I guess I will publish this tomorrow, the new functions are not finished but without the search function the program is more or less useless. The new function is the list of Photo with EXIF GPS positions, as Mapparium also had. It can use Datatypes (need jpg Datatype of course) or the internal pascal JPG loaded, which seems to be slower most of the time, especially on big endian systems. The photos are grouped by date if you double click the date entry it try get all photo markers in sight, when clicking on a photo it shows it.